Welcome to Columbia Medical Centers! With over 50 years of combined experience, our physicians and clinicians are committed to providing you with the highest quality of care and service available. Our state-of-the-art facility paired with our knowledgeable and friendly staff makes Columbia Medical Centers the right choice for you. 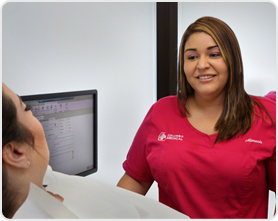 We Offer Same Day Appointments and Most Referrals are available on the SAME DAY. For your convenience, we are on Staff at JFK Medical Center, Wellington Regional and Palms West. We are now accepting new patients enrolled in Humana Health Plans. For those of you who are new to Managed Care, we are here to help facilitate your transition to help ensure it is a smooth one. If you have any questions or concerns, feel free to speak with a member of our staff. In the meantime, please review our Frequently Asked Questions Page.